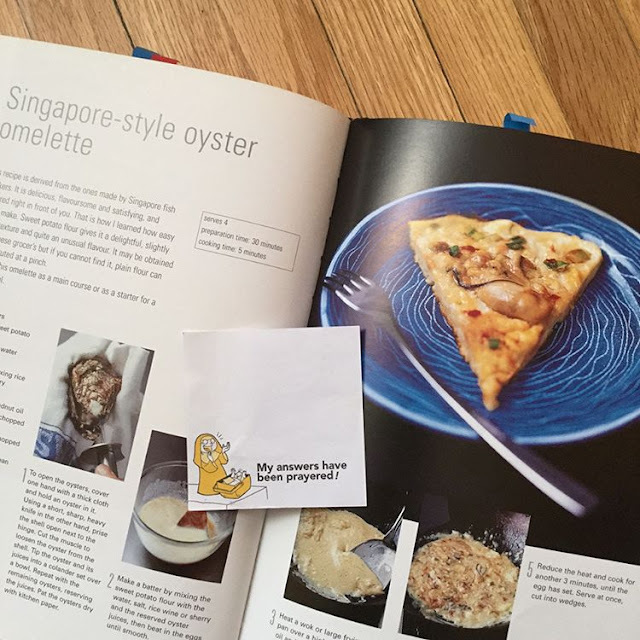 I've been looking at our old recipe books lately and stumbled across an old piece of pad paper with a funny quote "My answers have been prayered" at the recipe for Singapore style oyster omelette. I get a laugh and some photos to make my mouth water. I don't think anything can beat oysters! So really, answers have been prayered ... if I end up cooking this! 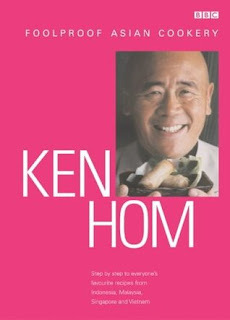 This recipe, among many other really good ones can be found in Ken Hom's Foolproof Asian Cookery*. I've had this cookbook in my collection for decades!